I love going out to my garden and picking some peas right off the vine and eating them right there in the garden. 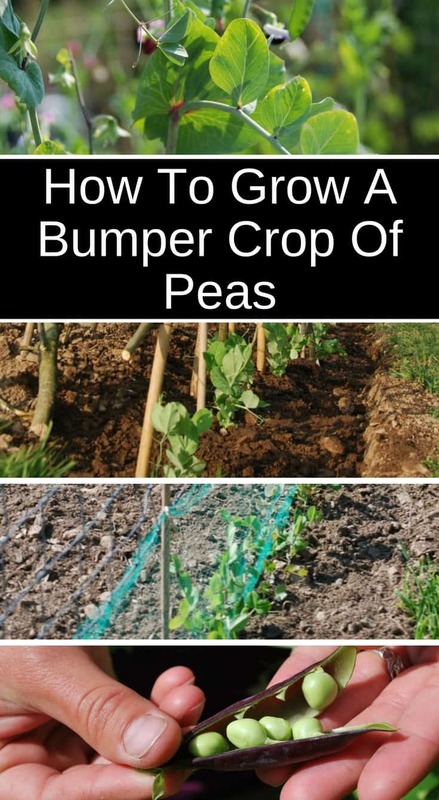 I learned how to grow peas a long time ago from my uncle and enjoy them every year. Peas like cold weather, and don’t do very well in hot temperatures. 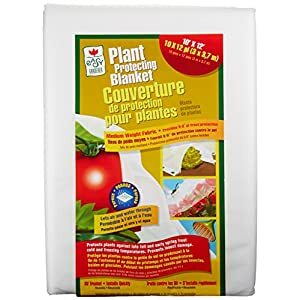 Plant in the spring as soon as the soil is workable, even if you’re still expecting a bit of snow (light freezes don’t bother peas). You can also plant in early fall, and harvest right up till frost. 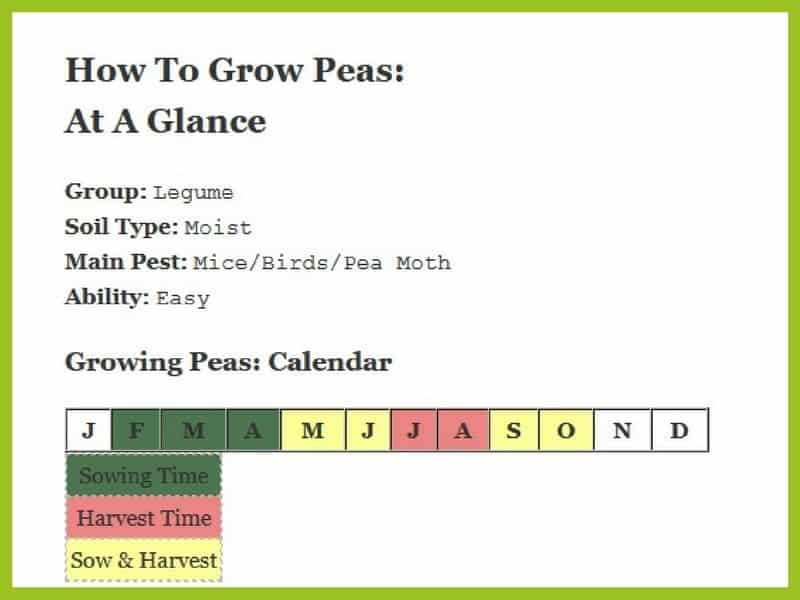 Just make sure to count back the number of days from sowing till harvest and plant with enough time to let your peas mature. If you’re surprised by an early frost, be prepared to throw a frost blanket on your peas. 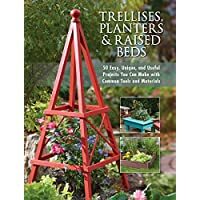 This works both at the beginning of the season, when the pea plants are fragile, or at the end of fall in order to extend the season. 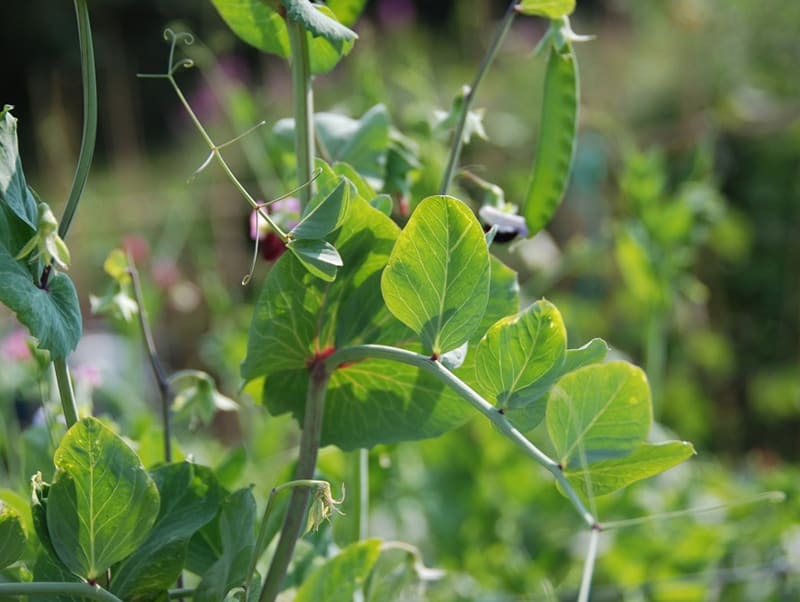 As peas belong to the legume group of vegetables, they have the capability of providing their own nitrates by converting nitrogen from the atmosphere. That means you don’t need to provide much for the soil you plant your peas in. However, they do like to have a moist but well drain soil. 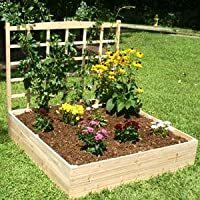 Ideally, you should dig some organic matter into the soil to help with water retention. I prefer leaf mold and my own garden compost. 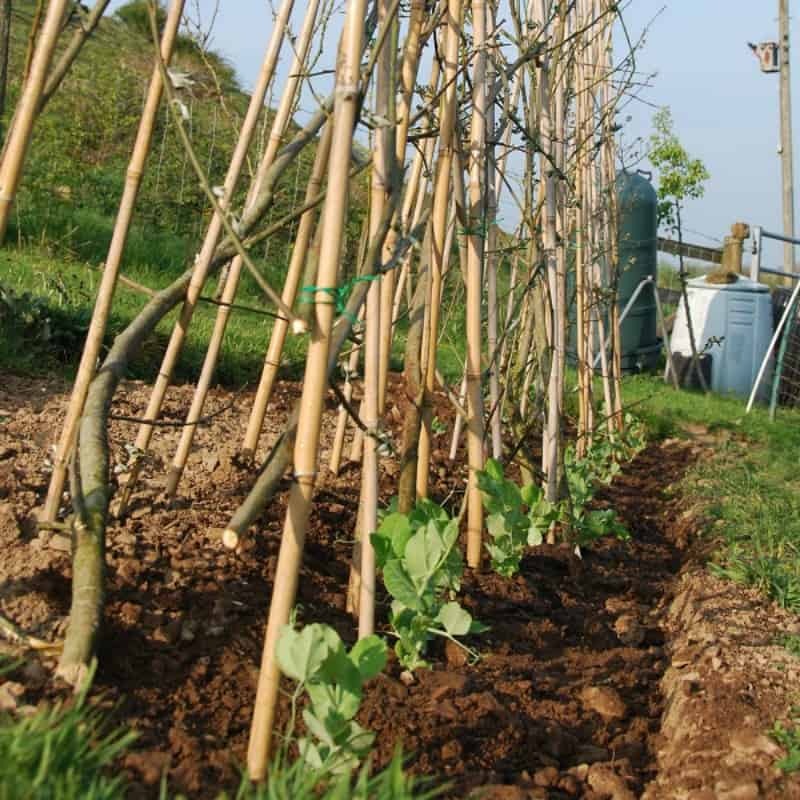 Mulching around the pea plants before the summer can help to help the soil to remain moist as the weather warms up. It’ll also keep weeds away. Plant your peas early in the spring, following instructions on your seed packet. I like to plant peas by a railing we have going to our basement. This gives the peas something to climb on without me having to do anything else. 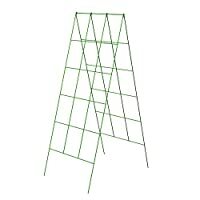 If you don’t have a fence or trellis to plant your peas by, add some stakes when you sow your pea seeds. This way you don’t disrupt them later once they start growing. 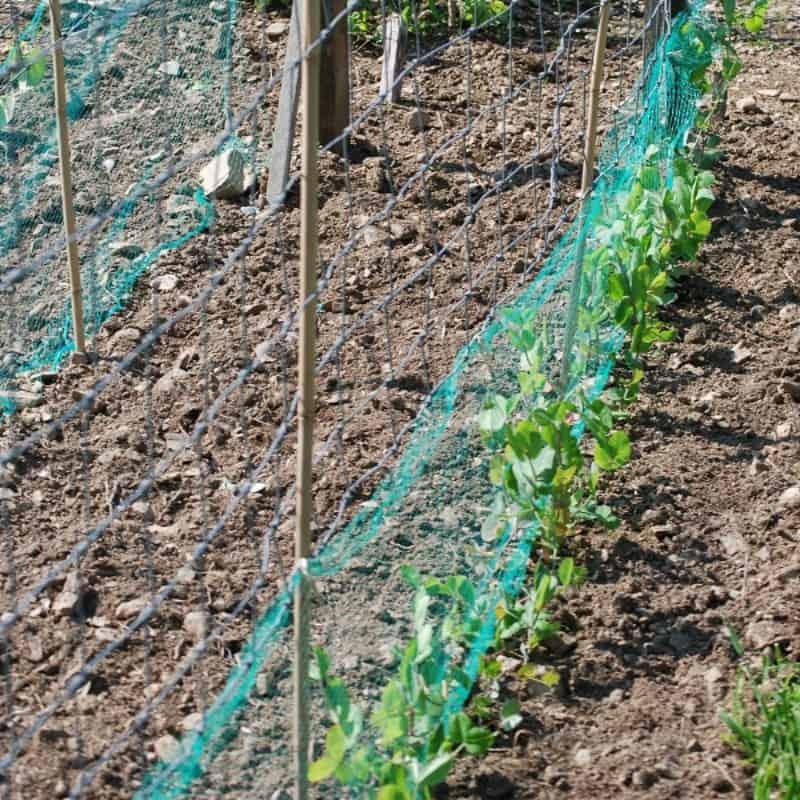 If you plant peas in rows in your raised bed garden, sow seeds about 5 to 6 inches apart and the next row about a foot distance. When you plant in rows it’s best it you stagger the plants. Sowing around late February will provide a crop as early as May. 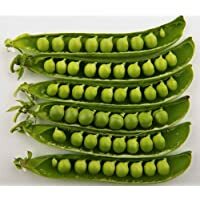 There are a number of different types of peas. The most common, the wrinkled or marrow fat pea, can be grown as small dwarf varieties or tall climbers reaching up to 6 feet. Wrinkled peas can also have different cropping times, from first earlies that take only 11 weeks to produce pods, to main crop peas taking up to 15 to 16 weeks to mature. Wrinkled peas are not hardy so you need to avoid any frosts. Sow directly under a cloche or in modules under glass during March and April for a crop in June or July. For later crops sow up until the end of June. Dwarf varieties will need a twig or cane for support, while taller climbing varieties will need a frame and net to grow. These peas are very flat, and the pods are edible raw as well as cooked. Mange tout are whole pod peas and can also be known as Chinese peas. Used in Chinese cooking, they add a vibrant color and some crunch to rice and stir fries. YUM! 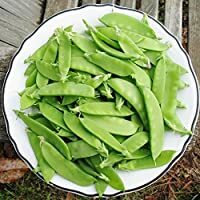 Early Alaska English Running Pea Heirloom Non-GMO Garden Vegetable – 25 Seeds These are your common peas, the kind you buy at the store in the frozen section. The pods are not edible, and you need to wait until maturity to harvest and use these. They need to be shelled before using. 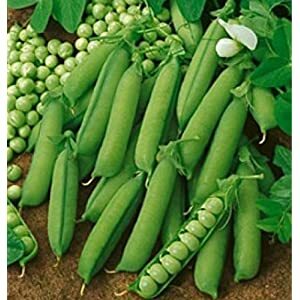 English peas make delicious cream soups and great additions to rice. Looking like a breed between English and snow peas, the pods of these peas are edible, even thought you’ll need to wait a bit for the peas to grow and mature. Petit pois are smaller, finer tasting peas. This round variety of pea is hardier and can be sown before the last frost. Peas are reasonably trouble free. One of the more common pea pests is the pea moth; it can deposit its eggs into the flower and it will turn into a maggot that eats into the pea. To find out if you have pea moth, drop shelled peas into cold salty water and the maggot will float off. 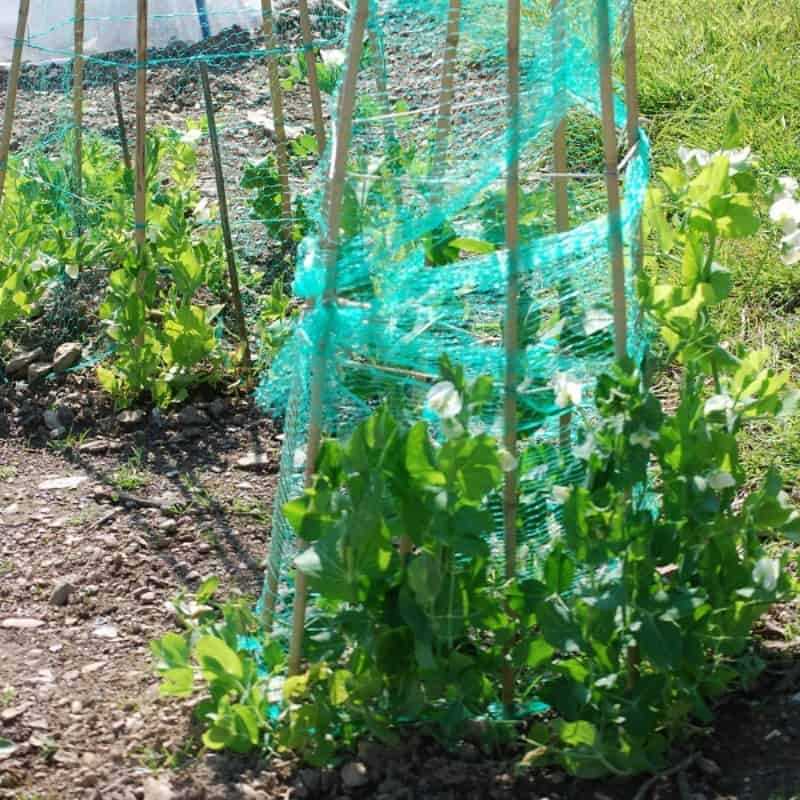 If your peas are affected simply cover the plant with fleece row cover as soon as flowering starts. Mice and birds can also cause problems by taking the sown dried pea. Peas mature from the bottom of the plant, so start to pick there and keep picking as soon as peas are ready. This will ensure that the plant continues to crop. 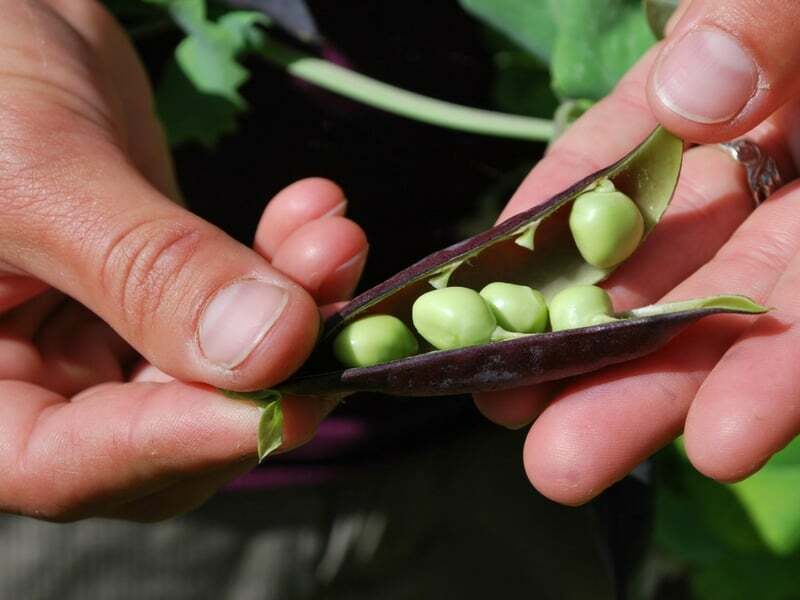 Peas that are eaten in pods should be picked as soon as they are the perfect size, while peas that need shelling should be left to swell until the pod feels tight and well rounded. Naturally sweet, peas don’t stay that way long after you pick them. 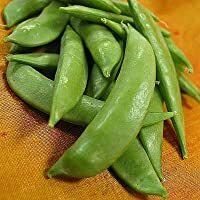 The sugar starts to turn to starch as soon as you pick them, so eat or freeze peas as soon as they are picked (here’s some help with freezing produce). They are very nutritious, providing vitamins C, A, K, and B6, as well as Thiamine, Iron, Magnesium and Riboflavin. Until the 17th century peas were simply dried and added to stews, and of course drying is a good way of storing peas for the winter. But today peas have a much wider repertoire, turning up in soups, salads and side dishes, so please don’t just boil your peas. Dishes like pea puree are common on some of the best restaurant menus and chefs like Jamie Oliver have made snacks such as lettuce and pea soup a big hit. And, of course, don’t miss out on the opportunity of a Vitamin boost by adding raw peas to salads, uncooked peas have 3 times the Vitamin C.
I hope that knowing how to grow peas will encourage you to try growing some peas this year. You’ll love them!